The Homicide Squad reports the details of a Fatal Vehicular Accident that occurred in Elmont on Sunday, November 02, 2014 at 4:16 am. Elmont, NY - November 3rd, 2014 - The Homicide Squad reports the details of a Fatal Vehicular Accident that occurred in Elmont on Sunday, November 02, 2014 at 4:16 am. 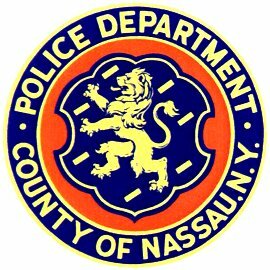 According to detectives, a Nassau County Highway Police Officer observed a male driver and a female passenger arguing in a green 1995 Dodge Caravan and initiated an investigation in the vicinity of 99 Main Street, Hempstead. During the Investigation the officer was out of his car at which time the driver backed up and twice intentionally struck the marked Radio Motor Patrol Car. Both occupants then fled east on Center Street. Shortly after, Fifth Precinct Police Officers observed the Dodge traveling at a high rate of speed west on Hempstead Turnpike when they struck a 2002 Ford driven by a 22 year old male traveling north on Meacham Avenue attempting to turn left onto Hempstead Turnpike. The 1995 Dodge then was redirected and struck a nearby utility pole. The operator Eduardo Sosa Zapata, 23 of Westbury and passenger Jackeline Reyes, 22, of Bellmore were both pronounced deceased at the scene by a Nassau County Medical Technician. The other driver refused medical attention at the scene. Both vehicles were impounded for brake and safety checks. The Investigation is ongoing. Subject: LongIsland.com - Your Name sent you Article details of "Verbal Confrontation Leads to Fatal Crash in Elmont"